The One-Way Sorting Alley 45° can be configured as a left or right-handed sorting alley, allowing you to sort or divert cattle one-way with ease. 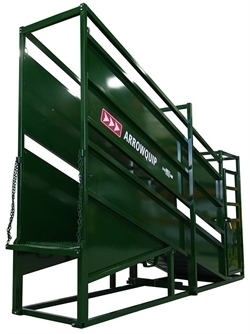 Hello, I would like more information about the 2019 ARROW FARM EQUIPMENT SORT GATE, stock# OWSA. 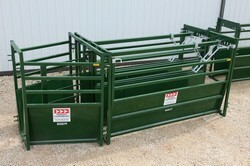 Hello, I would like to see more pictures of the 2019 ARROW FARM EQUIPMENT SORT GATE, stock# OWSA.